Nowadays a basic investigation of morality and ethos would be of great importance. There is a crying need for clarification of many practical problems, both in the individual-private and in the social-ethical realms. There are too many uncertainties in which we live today, uncertainties about what we ought to do. We should try to infer from our ethical tradition certain standards that should govern our conduct. In particular, I notice confusion among rabbis as regards basic problems whose solution cannot be found in the Shulhan Arukh and must rather be inferred by way of deduction from ancient principles and axioms. 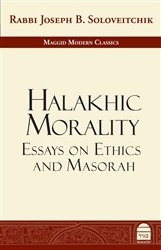 He approaches this task through an in-depth examination of the beginning of Pirkei Avot, raising topics such as: the sources of ethics, power and persuasion, elitism and democracy, educational philosophy, study and action, freedom and coercion, and more. 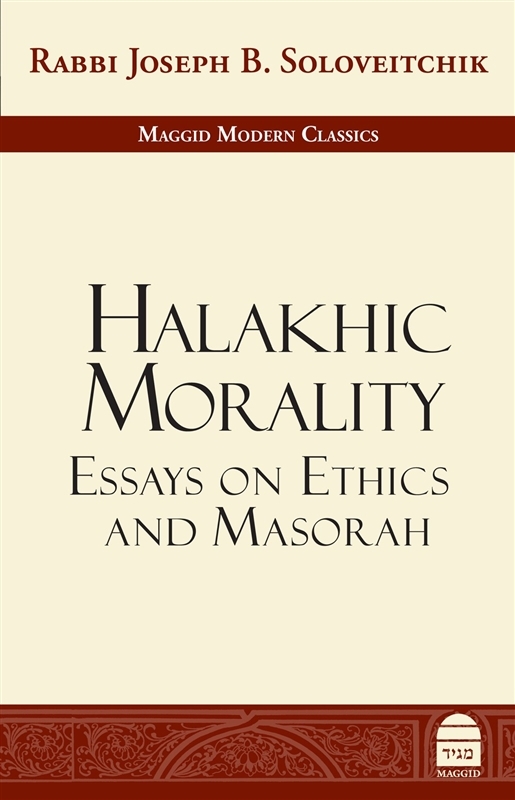 There follow essays on a variety of related themes, including charity and fellowship, law and ethics, styles of religious observance, and the centrality of humility in Jewish life. Maggid Books is honored to bring these hitherto unpublished essays to a long-awaiting public.